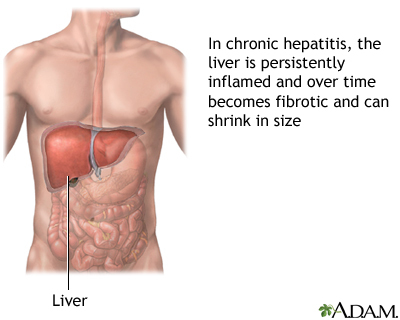 Chronic active hepatitis is a liver disease caused by infection, drug ingestion, metabolic or autoimmune disorders. Necrosis (death) of liver cells, inflammation and fibrosis may lead to liver failure. Death within 5 years of onset occurs in 40% to 50% of patients.